In 2011, at the end of a 22-year civil war, Sudan divided into two countries: Sudan and South Sudan. In 2013, cultural, economic, and religious tensions re-ignited. Fighting erupted north of the new border in South Kordofan, between government armed forces and the Sudanese Peoples’ Liberation Movement-North. The Nuba Mountains became a conflict zone. Hundreds of thousands of people have fled their homes. There is very little access to health and humanitarian assistance in this region, except for Mother of Mercy Hospital and six outlying clinics supported by Medicines for Humanity. 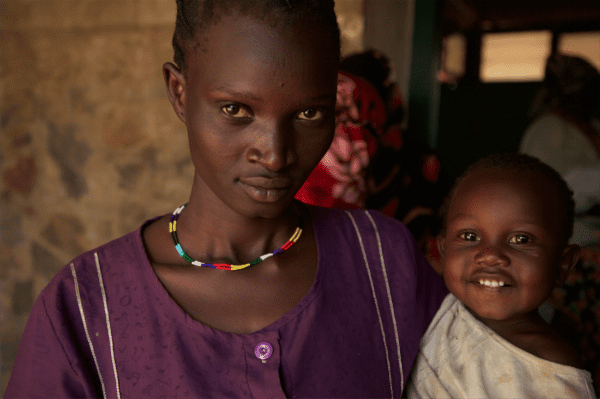 MFH is collaborating with the Diocese and Mother of Mercy Hospital (MMH) to increase access and improve health care services, particularly for mothers and children in the South Kordofan region. The overall goal of this project is to reduce the child mortality rates in this area. This project is reaching out from the Mother of Mercy Hospital to: 1) provide clinic-based health services by developing and supporting 4 regional health clinics 2) provide community-based health services by developing and supporting a system of community health workers. The project will provide these services to 210,000 people in South Kordofan with the hope of expanding throughout the Diocese. The project will also strive to strengthen the managerial capacity of the diocese and the leadership staff of MMH to integrate these services with hospital-based services. The extraordinary work of the South Kordofan Project Team, with support and collaboration from MFH, has resulted in four health clinics now serving the areas surrounding the hospital. This has greatly increased access to healthcare for people in these outlying communities. The clinics are seeing nearly three times the number of children and other patients that was initially projected. The need for this life-saving care continues to be much greater than initially assessed. To learn more about life in the Nuba Mountains and our project there, please watch the video below.